The original Executive Vocabulary Tapes, CD and Workbook Course launched in 2002. 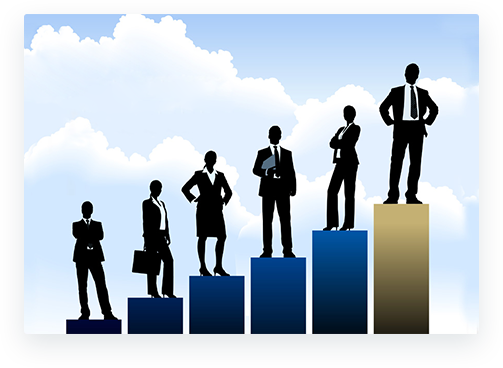 Although many people mistook Executive Vocabulary for a business terminology and jargon course, it was always intended to be high-level English vocabulary training program. level vocabulary Power Words, both at work and in their personal lives. The program went on to sell over 6,000 copies. Vocabulary Zone, which is produced by CommEdge LLC. The original Executive Vocabulary course taught 500 Power Words. Vocabulary Zone teaches approximately 1,200 Power Words. use them in your written and spoken communication. learning more about the Vocabulary Zone Executive Vocabulary Certification. 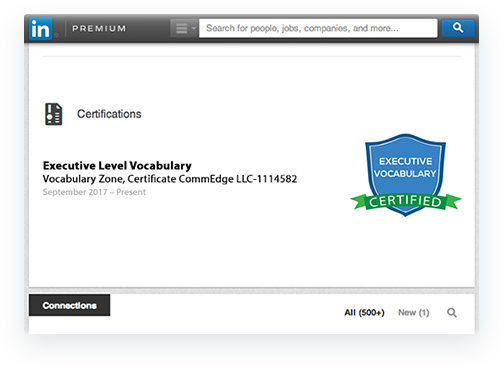 Although we no longer produce Executive Vocabulary, you can earn an Executive Vocabulary Certification as part of Vocabulary Zone. Click the button below if you are interested in learning more about the Vocabulary Zone Executive Vocabulary Certification. vocabulary stacks up to your peers and competitors.